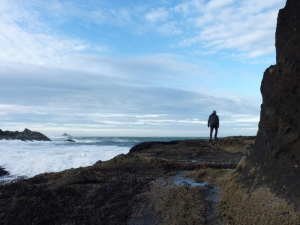 Spend 4 weeks immersed in the wilderness of the Oregon Coast and connect with yourself, the community and nature. 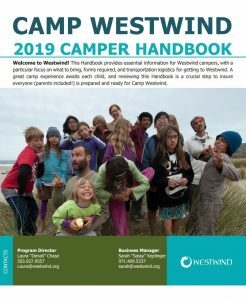 Westwind’s 529 acres of rugged wilderness, ocean and river access makes it an ideal place to foster these relationships. 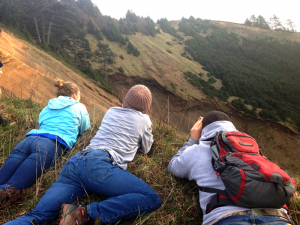 Jan Term’s multidisciplinary content enables students to connect deeply with place, helps students develop personal resiliency and provides real-world strategies to promote environmental and social justice. Students will also broaden their understanding of sustainability issues and a leave with toolkit to bring stewardship to life in their communities. Course content includes guest lectures by local experts and workshops; stories, readings, reflection and group discussion will complement course content. Students will also have the opportunity to participate in the “Westwind Project,” or active stewardship on the property. An academically rigorous course provides students with boundless opportunities for discovery and learning. Students need to supply the following: sleeping bag, backpack, headlamp, appropriate outdoor clothing, pens/pencils, blank journal, assigned readings, and toiletries. Once you are accepted, you will receive a complete information packet that includes detailed information about the course and specific equipment and clothing needs. Students will need to download and print course texts and purchase required books before coming to the course. Further details about gear and course texts will be sent to accepted students. Enrollment limited to 24 students on a first come, first serve basis. Prerequisites: Students must be at least sophomore standing by January 2018 to be eligible unless alternative arrangements have been made. 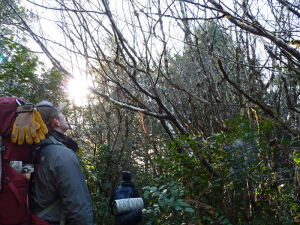 Students should be in good physical and mental health and have an interest or passion for connecting with self, community and the natural world. Enthusiasm and a willingness to learn are essential. Students with an interest in community living and a desire for outdoor adventure will thrive in this class.College credit available for course participation. Please contact us for details. An orientation webinar for participants will be scheduled the first week of December. Email us if you are interested in attending an informational session on this course. Deposit upon acceptance: $500* (non-refundable). Course Fee: $2,050 per person (includes course fees, food and lodging for the length of the program). *To reserve a spot on the course, complete the application and pay the deposit within one week of acceptance. Please note: your $500 deposit will be applied towards course fee. The remainder of the to be paid by December 15, 2017. If you must withdraw from the course, please let us know immediately and in writing. The following policies exist to encourage commitment when applying, as well as to cover the costs incurred if a student withdraws. Withdrawals before December 15th, 2017 will receive 50% of the course fee (not including the deposit). Withdrawals after December 15th, 2017 are not eligible for refunds. Irene Bailey – With over 10years experience facilitating and managing environmental and sustainability education programs, Irene brings an abundance of knowledge, creativity, and passion. 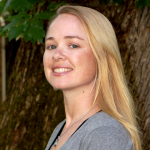 Irene holds a Masters of Science in Educational Leadership and Policy with a specialization in Leadership for Sustainability Education from Portland State University. In her free time, Irene enjoys hiking, gardening or planning the next adventure. Her favorite place is by the ocean. 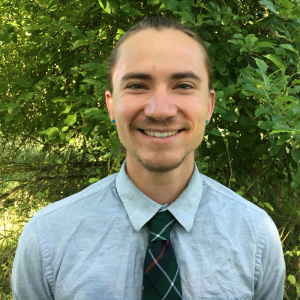 Duncan Reid – Duncan has served over 5 years as the Environmental Stewardship and Sustainability Assistant for Linfield College. He holds a degree in Environmental Policy, but received most of his education from community organizing. He brings a deep connection to place, a strong sense of community, an understanding of group dynamics and many years of experience backpacking, farming and living in community. Duncan currently lives in a tiny house on a 60 acre farm in McMinnville, OR.